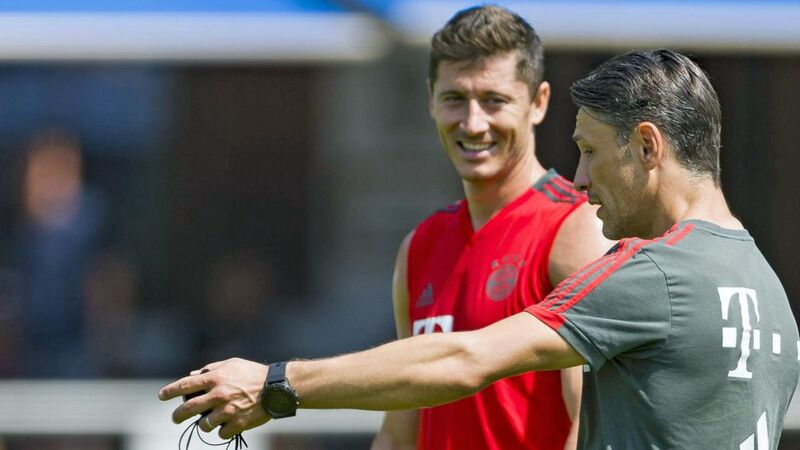 Niko Kovac has spoken of his admiration for Robert Lewandowski ahead of Bayern Munich's Supercup meeting with former club Eintracht Frankfurt, hailing the Poland star as "one of the best three strikers in the world." Lewandowski, who finished the 2017/18 Bundesliga campaign as top scorer on 29 goals, recently linked up with his new coach following an extended post-FIFA World Cup break. "It's true Robert and I had a chat," Kovac told German daily Sport Bild, moving to end speculation about the Bayern frontman's future. "Robert knows what I think about him and how I rate him. The whole club knows the qualities he possesses. He is one of the best three strikers in the world. There's no way we'd let him leave. That's why I told him. Robert accepted that, and I'm really happy about it." Lewandowski, who has a contract with the record German champions until 2021, has scored 152 goals in 195 appearances in all competitions since joining the club from Bundesliga rivals Borussia Dortmund in July 2014. The 29-year-old hit 17 Bundesliga goals in 2014/15, top-scored with 30 in 2015/16, rattled off another 30 in 2016/17 and scooped his third Torjägerkanone prize, as well as his fourth Bundesliga title with Bayern - and sixth overall - last season. He currently sits seventh on the list of all-time leading Bundesliga marksmen with 180 goals in 257 German top-flight appearances. Lewandowski is expected to lead the line against Frankfurt on Saturday, when Bayern go in search of their first piece of silverware of the 2018/19 season in the Supercup.